1 tablespoon, 1 teaspoon, 1/2 teaspoon and 1/4 teaspoon made of cherry or walnut. Weighed and calibrated with sugar for an accurate size. Spoon has been washed to raise the grain, then re-sanded and waxed with beeswax and mineral oil mix. Regardless of what some spoon makers say grain raises all the time after use. The grain will break, then fuzz up. Oil once about every 2 to 6 months. 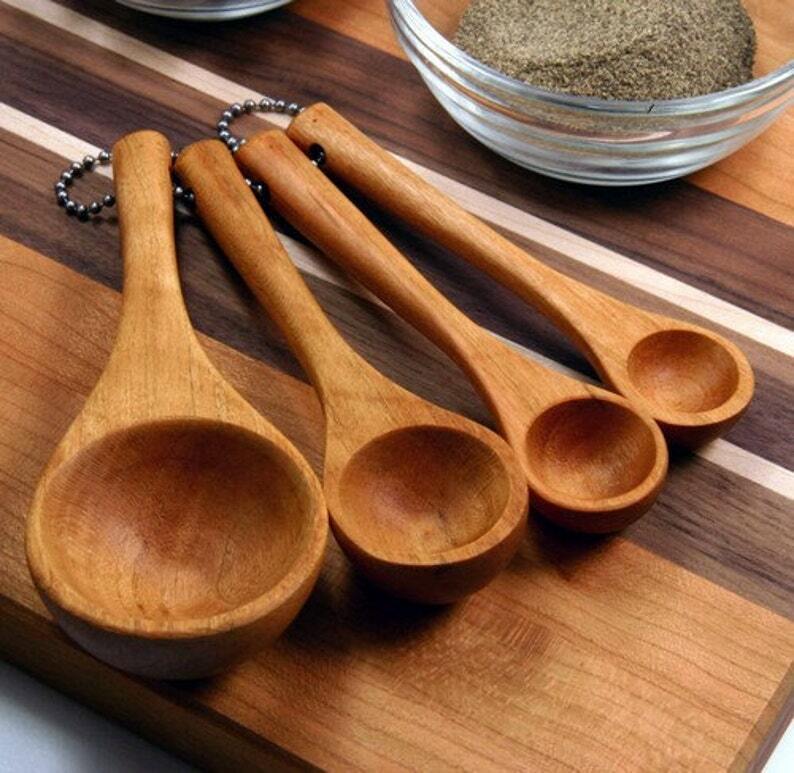 The measuring spoons are rustic works of art. I’ll definitely order from this seller again. I’m grateful to know that thoughtful work like this, is still being done. BUY these!! I have a feeling they will be a cherished item for years to come by anyone who does. Very much like the feel and function. Large Handmade Cooking Spoon 14"